If you're itching for warmer weather, how about doing some spring stitching? 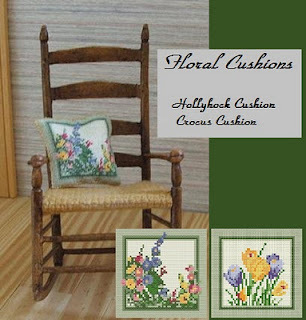 The crocus pillow above is the newest addition to Melissa's website and coordinates with the hollyhock pillow. Both cushions are done on 40 count silk gauze and are designed for DMC cotton floss. Why not take a look at http://www.miniaturehome.com/ and start your spring stitching!